The U.S. holds a lot of business opportunities but successfully selling into this market can be challenging and full of uncertainty. To be successful you need a dedicated partner that can build and execute a business strategy that meets your companies specific needs and resources. With our local market knowledge we can guide you through the process of understanding the market nuances and delivering a strong message. We pride ourselves as partners focused on your success. Together we Design a growth roadmap and develop the tools needed for your expansion into the U.S. market. Then Build revenues by executing on this plan and providing direct sales, marketing and partnership development. Finally we help you Thrive by guiding you through the fundraising process. We seek companies with an innovative product or service that is currently selling in the local market. Just as important, we look for a management team that is open, tenacious and devoted to an export strategy. These factors, along with our experience, combine to form a powerful international expansion force. Our services are structured on the Design - Build - Thrive model, developed to accompany you throughout your expansion process. However, we also provide ad-hoc services based on your needs and capabilities. Our Pre-Launch Services provides you with a strategy and the marketing tools needed to successfully enter the U.S. market and engage with clients. Our Launch & Grow Services helps you execute your international development plan and builds revenue by providing sales support. We apply a strategy that fits your specific needs and we use our local business network to find specific resources and talent as needed. Our Fundraising Services helps you acquire the capital needed to accomplish your goals by coaching you through the process and working with you to develop the required material to succeed. Our team has over 25 years of combined international experience across multiple markets and countries, making us a valuable partner to your success in the U.S. market. Seasoned professional with hands-on experience in management and investment fields worldwide. Proven track record of promoting business innovation and business development of genuine products/services, including market landing initiatives, go-to-market strategies and joint-ventures. Demonstrated results with both Investment Bank and Industry in cross-border transactions involving financing and capital structure. 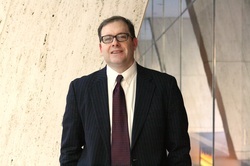 Vicenç holds an BBA & MBA from ESADE Business School. Personal View; Born and raised in Mallorca, I’ve lived in Barcelona, Singapore and Valencia. I currently live in NYC. Every new city is a unique experience to learn and build up a dynamic and cross-border network, providing me with far-reaching local knowledge connected globally. I like watersports, so you may find me sailing, surfing or scuba diving in my spare time. Result-driven professional with international experience in developing services in the U.S. and European markets. Over 15 years of business development experience in launching new products, strategic planning, account management, and project management. An experience entrepreneur that has launched an innovative education service. Raised public and private funds and grew the business from an idea to a profitable firm with seven figure revenues. Jason has an MBA from ESADE Business School and a B.S. from Villanova University. Personal View; I’ve spent half my adult life living, learning and working internationally. While I am enjoying New York City today, those years overseas have allowed me to better understand the world around me. My most recent international adventure was travelling through nine countries around the Baltic Sea on BMW GS 1200 motorcycle.